My first love was Elvis Presley, or maybe it was Chico from 70s sitcom Chico and the Man, then came The Six Million Dollar Man (Lee Majors – hubba hubba), followed by The Fonz (maybe I just thought he was cool?! ), and don’t even get me started on the Rod Stewart years! (woops – that’s Sir Rod Stewart now). Like most people, my heart has been profoundly broken a couple of times (although not by any of the fine gentlemen named above! ), and it is enough to make one wish that love didn’t even exist. Yes, love can be e xcruciating (there’s even a themed museum (https://brokenships.com/), but its is also necessary; some might say necessary for our very survival. Dr. Gabor Mate (https://drgabormate.com/) suggests the need for love and belonging/acceptance is our greatest need (The Biology of Loss, two-day conference, November 2016, Shediac, NB). The famous American psychologist, Abraham Maslow, gave us the Hierarchy of Needs back in the 40s/50s, suggesting that once our basic physical needs (food, water, safety, etc.) have been met, it is love and belonging we seek, and require if we are to move up the hierarchy to achieve esteem and self-actualization (http://www.simplypsychology.org/maslow.html). Perhaps that explains why even after painful losses in love, and/or other significant relationships, we humans continue to seek out other attachments. We need to attach to survive socially, psychologically, emotionally, and spiritually. The quality and degree of attachment infants have to their mothers in infancy and early childhood not only lays the blueprint for all other attachments/relationships in that baby’s future, it also impacts brain development (https://www.helpguide.org/articles/relationships/attachment-and-adult-relationships.htm). “Attachment is at the heart of relationships and social functioning” (Neufeld & Mate, Hold On to Your Kids, 2004, p. 17). They go on to say attachment is the pursuit and preservation of proximity and connection: physically, emotionally, behaviourally and psychologically. Dr. Pat Ogden, in her 2015 book Sensorimotor Psychotherapy describes attachment as a strong emotional connection we feel with certain people that endures over time and can include parents, grandparents, siblings, friends and romantic partners (p. 66). Or…check out these links to great love songs……. Posted on February 14, 2017 February 14, 2017 Leave a comment on LOVE! 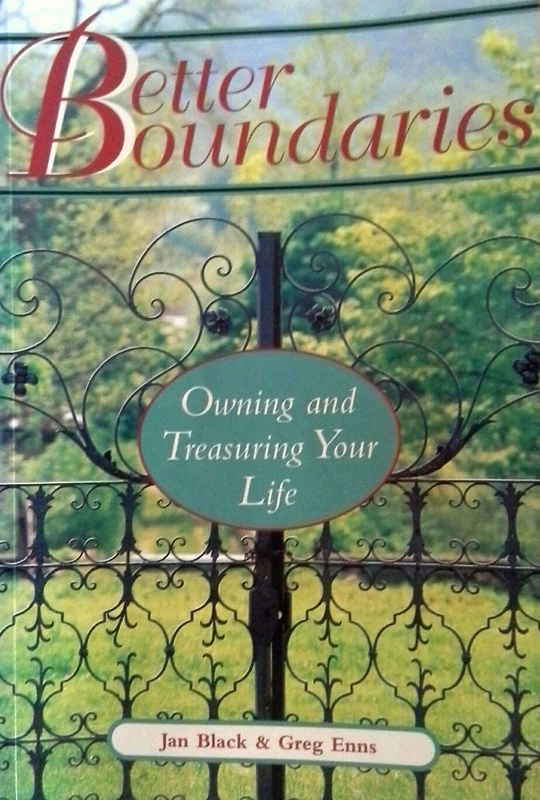 So if boundaries are needed in order to value and own yourself and your life – how do we get them? And, if boundaries are so important, why do so many of us seem to struggle with either creating them or maintaining them? Whatever boundaries we have, we probably learned them from our families of origin or early caregivers. The norms of our families informally throughout our lives and from our families’ cultures and dynamics. If you grew up in a situation where very few boundaries were in place and/or respected, then you may be unaware that your boundaries are being crossed, or that you are crossing the boundaries of others. Perhaps there were no choices for you, or the opposite – no structure at all and you are unaware of your own or other people’s limits and boundaries. If you came from the kind of family where children had little or no voice, where feelings and opinions were not encouraged, you may struggle with assertiveness, feel powerless at times and unable to speak up for yourself. You may also have hard time saying no to people, feel like you have no say, or that everyone else comes first. In homes where there was any form of abuse, boundaries are often weak or non-existent. It is possible though, to learn boundaries through other more positive experiences. As you get older and more independent, you might see healthy boundaries in place in other environments and adopt those ways for yourself. Boundaries can be learned at any time, as long as you are aware you have the right to personal boundaries. Boundaries are closely related to assertiveness; by having personal boundaries in place, you will be more likely to assert yourself. Boundaries demonstrate to you and to others that you have self-respect and self-worth, which are important components of health and happiness. By adopting a self-care philosophy that demonstrates to you and those around you that you value and respect your self, you can improve self-worth and when you treat yourself better, you won’t settle for less from others. You will also be more compassionate toward others, but with boundaries in place you won’t become absorbed in their problems. It takes courage to make changes like these if you’re not accustomed to having personal boundaries in place, saying no to people’s requests and demands, and allowing yourself time to care of you. The first step is knowing you have the right to personal boundaries. Read more about the role boundaries can play in your life, and start implementing some small changes that can help you feel stronger. Self-compassion is not self-pity. 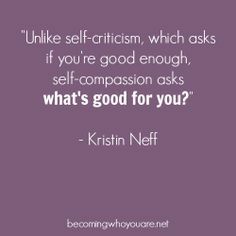 One of the better known experts in the area of self-compassion is Dr. Kristin Neff, who describes self-compassion as the act of being loving, kind and understanding with yourself when faced with your own shortcomings and inadequacies the same as you would to someone else, a loved one, for example. The next time you feel angry at yourself for something, imagine your best friend telling you that very same thing; What would you say to her or him? Now, say that to yourself. 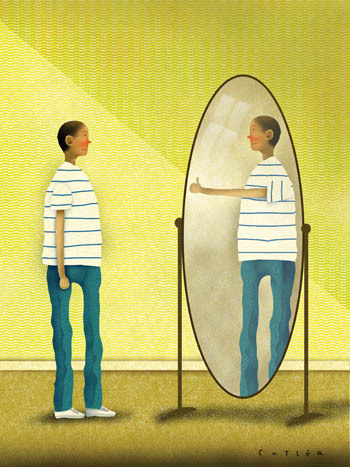 This may not be easy; Being hard on ourselves is ingrained in our thought patterns, like unconscious, deep-seated beliefs about ourselves that are for the most part, untrue and dysfunctional. It will take practice. That’s ok. Instead of trying to be nearly perfect, remember, you are merely human. I want to leave you with a poem by Derek Walcott, which I think gives us inspiration and food for thought on the topic of self-compassion.